Things are heating up in India’s payments space. PhonePe has attacked Google and other foreign companies for dragging their feet in complying with the RBI guidelines requiring payments apps to store their data on Indian shores. In a surprisingly blunt blogpost, PhonePe has hinted that one of the reasons that foreign firms are unwilling to store their data only in India is that they want to evade taxes. “Most of the protests by Internet companies are related to the fact that RBI is forcing them to process and store payments data only in India. This word “only” is at the root of the issue, because it also kills most facetious tax evasion arguments in play today,” alleged PhonePe. 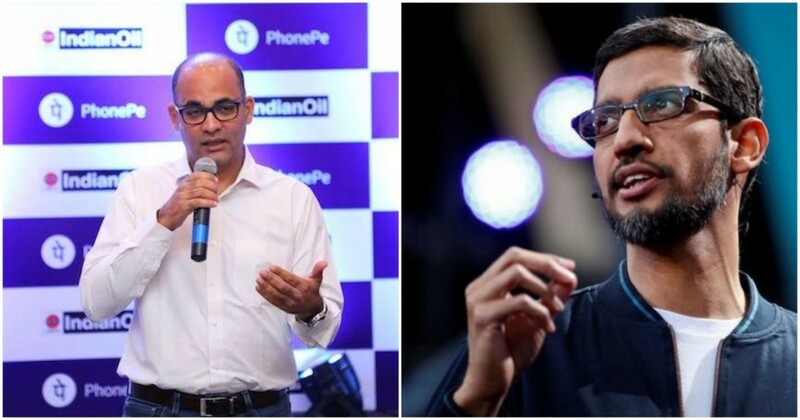 PhonePe claims that if companies like Google and Facebook are forced to store their payments data only in India, they’ll be unable to avoid paying taxes in India any longer. “(These companies) cannot claim that the revenues generated from these apps fall under foreign jurisdiction, just because their data servers are abroad,” it added. Google, in particular, has been in the dock for allegedly evading taxes in India by routing a portion of its Indian revenues through Google Ireland. Just this year, the Income-Tax Appellate Tribunal had said that Google had intentionally avoided paying Rs. 1457 crore worth of taxes in India by recognizing its Indian income through its Ireland subsidiary. Google, for its part, argues that the technology and servers behind Google AdWords is still owned by Google Ireland, thus thus it pays taxes on this Indian income only in Ireland. Ireland is infamous for having exceptionally low income tax rates for corporations, and Google thus avoids paying thousands of crores in Indian taxes. PhonePe says that Google will be unable to use this argument any longer if it’s forced to keep payments data within India. Google has thus far sought additional time to comply with the localization requests made by the RBI, but has said that it will comply with all local laws. It’s not surprising that PhonePe has attacked Google — it competes fiercely for a slice of India’s lucrative payments pie with its app Tez, and presumably wants to leverage any bit of advantage it can. If Google is forced to follow RBI’s circular on data localization, it have to store all its payments data in India, which will require a significant investment in terms of resources and time. Additionally, if Google’s parent company is not allowed to use Google Tez’s data to improve its other services, the whole Google Tez project might not be seen as being as valuable within Google, and Google could pull back the commitments it’s making towards Tez in terms of money and effort. But the RBI’s data localization argument by itself does seem to have merit by itself. If India’s payments data is stored on foreign shores, it’ll make it much harder to retrieve if the authorities want to track illegal transactions. India’s finding out how difficult it can be to retrieve things from foreign shores — Vijay Mallya is wanted man in India, but has been hiding out in London for the last couple of years, and India is unable to bring him back in spite of its best efforts. India would do well to make sure its payments data doesn’t meet the same fate.